UFO SIGHTINGS DAILY: Glowing UFO Over Melbourne, Australia On July 2018, Video, UFO Sighting News. 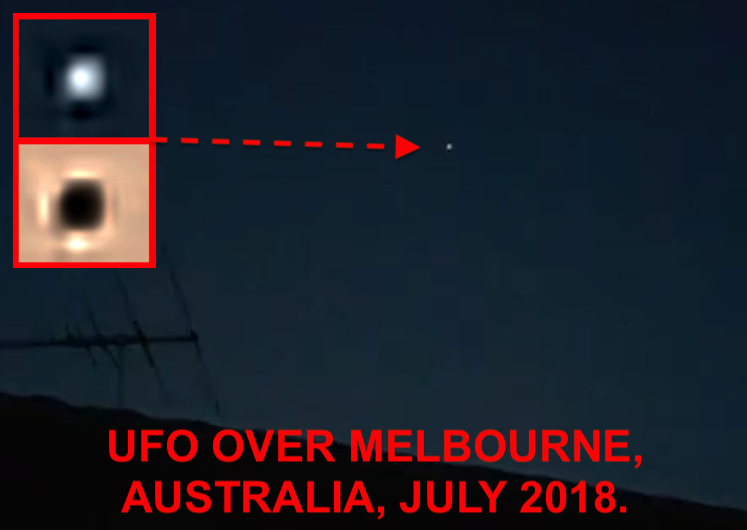 Glowing UFO Over Melbourne, Australia On July 2018, Video, UFO Sighting News. This UFO was caught by Youtube user Shaun Manne who's watchful eye caught this glowing orb in the distance. In the video we see it moving and the light appear and disappear sporadically, not in any pattern. Awesome catch down under. I went outside and looked straight up and saw this moving light. I always wait to see if it flashes like a plane but this one didn't. If it wasn't moving I would have said it was Venus, large and bright. No noise either. I'm located in Langwarrin, Melbourne. A bright white ball floated slowly above my house. It made no noise what so ever, and didn't flash like a plane would. It was fairly low but could have easily been missed.